Win a Trip to Maui, Hawaii: Just Smile! Win a trip to Maui, just by smiling! Some of my fondest wellness memories are from my childhood trips to Hawaii: An evening at the Old Lahaina Luau , picking fresh bananas off a tree in Hana and snorkeling on Molokai. Hawaii is bliss. So why not take five minutes to enter this contest sponsored by the Hawaii's Official Tourism site. The winner gets a 4 night trip to Hawaii- the island of Maui. 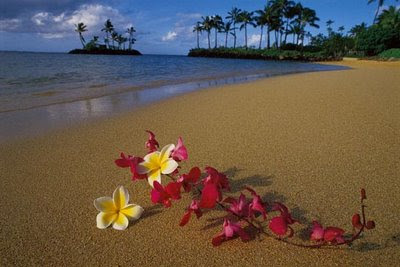 You'll stay at the Sheraton Maui Resort and Spa and airfare by Hawaiian Airlines is included. You even get a Blue Hawaii Helicopter tour while you're there. Simply upload a picture of yourself smiling on their "wall of smiles". The contest ends April 30th, 2009. Good Luck!